It’s a New Year. Are you ready for it? 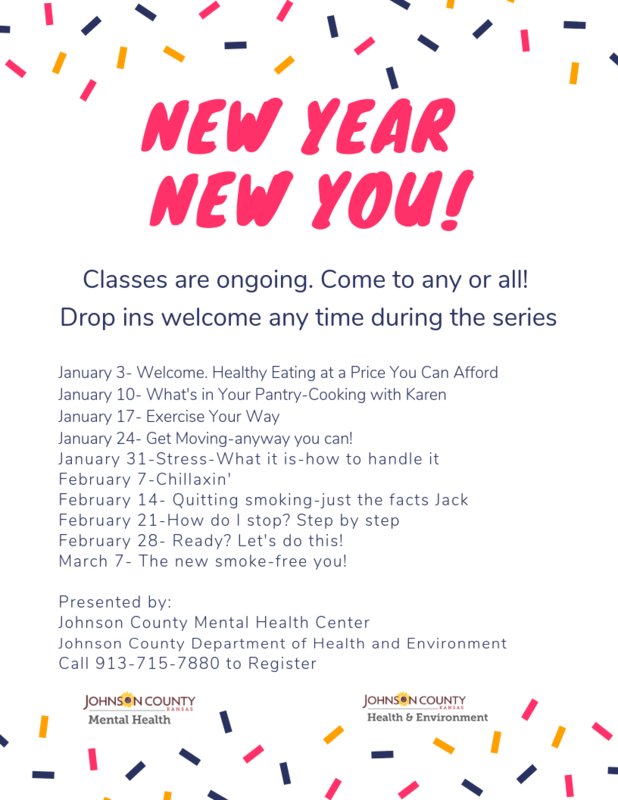 Johnson County Mental Health Center and the Johnson County Dept. of Health & Environment are pleased to present our 2019 Healthy Life Classes (class flyer). Join us for 10-hours of ‘Feel Better’ classes to help you kick-start a healthy new year. Topics include cooking healthy, exercise, managing stress, and quitting smoking. Classes begin January 3 at the Central Resource Library. Register for one, two or all classes! Drop-ins welcome any time during the series.